The Transforming Lives Capital Campaign is the first capital campaign in Fishline’s history. The projects supported by the Campaign have been developed with careful planning over several years and include consistent input from clients, staff, volunteers and the community. The Campaign supports facilities that directly address client and community needs. The reality is that the old Fishline Food Bank on Third Avenue in Poulsbo outgrew its small 3,100 square foot building years ago! The move to our Viking Way location in 2014 began an evolution of support and services that has grown to meet the increasing needs of a quickly-growing community. Our new 15,000 square foot facility will include a grocery-store style market for those needing our food bank services on the first floor, and a Comprehensive Services Center (CSC) on the second floor which will bring together the best providers of basic human services under the same roof for the first time in Kitsap County. Working cooperatively, our new CSC will address client issues at their root, helping clients move out of a need for services and onto stable lives. 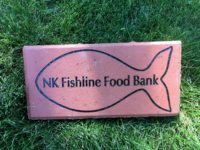 After 50 years of neighbors helping neighbors, Fishline needs your financial support to complete our new building. A welcoming place for neighbors in need to experience respect, support and safety. A Comprehensive Services Center that brings agencies to North Kitsap to help our clients develop self-sufficiency, stability, and life-long success. A Healthy Foods Market that optimizes access, efficiency and inventory management. 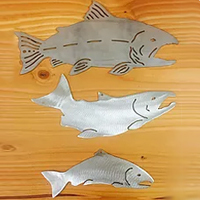 Join us as we build a path to transform lives: your donation of $100 or more to Fishline will become a permanent part of our clients success stories! These bricks can be engraved with your family or organization name, or in memory of a loved one. These custom made plaques can be engraved with your family or organization name and will be proudly displayed in our building acknowledging your support for our neighbors in need. Choose from three levels of giving to join our Sea of Supporters: $1,000, $2,500 and $5,000. Larger plaques are available when your gift exceeds $5,000. Need a printed order form? Click here to print and share today!